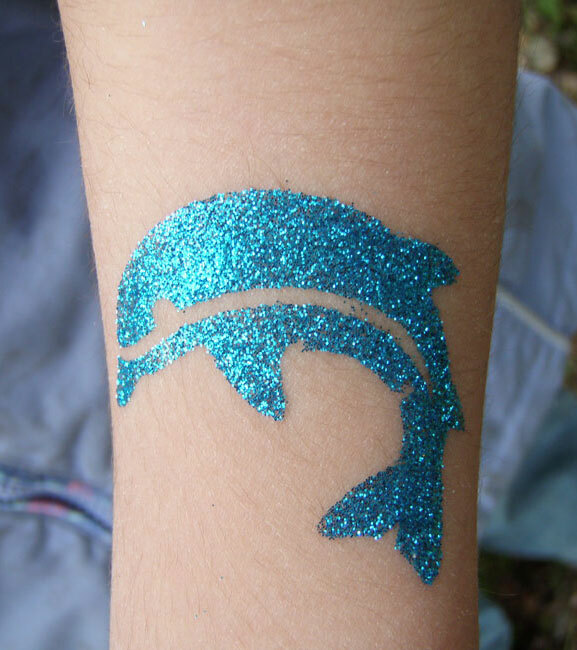 Glitter tattoos are the perfect answer for your pool party. 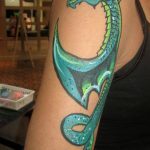 Once applied they are waterproof and easily removed with rubbing alcohol or baby oil. 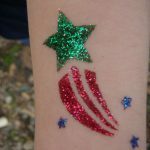 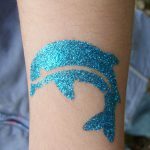 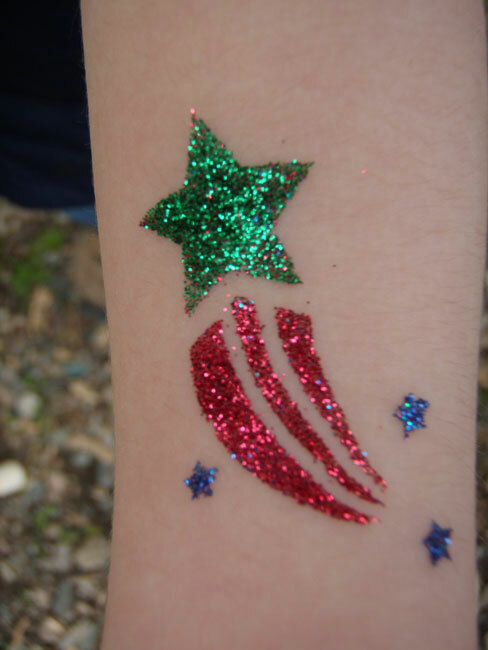 Glitter tattoos are a great alternative to face painting. 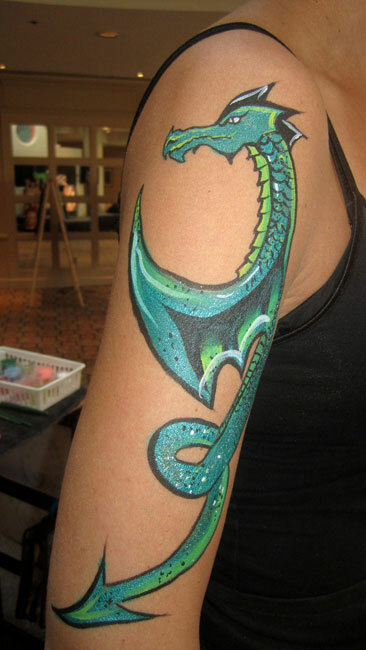 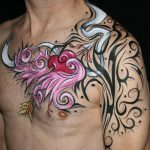 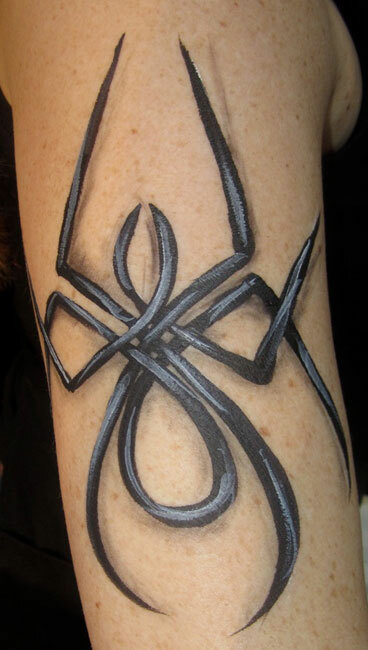 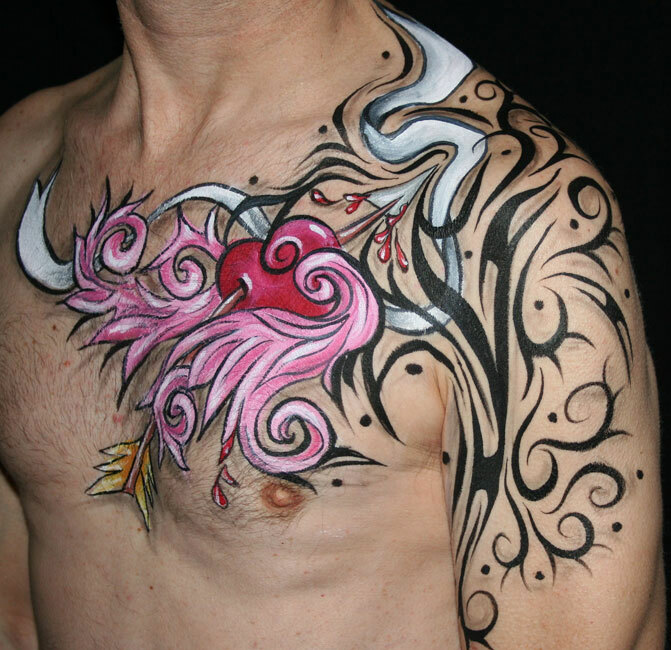 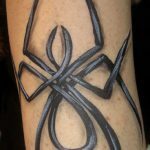 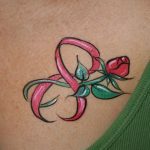 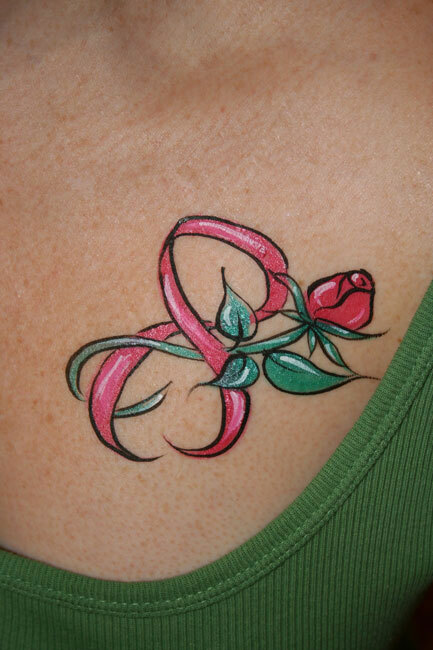 We also offer hand painted tattoos which can mimic traditional tattoos or graffiti.